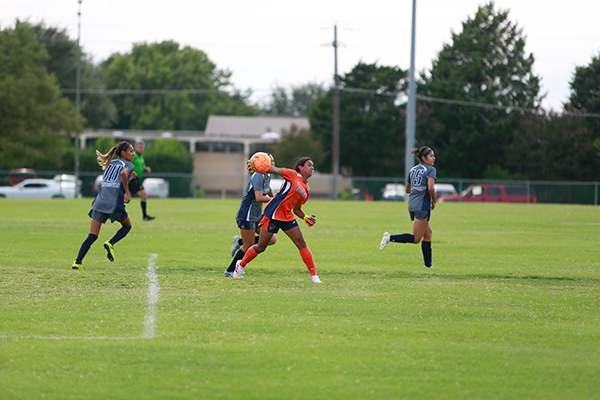 Emily Juarez advances the ball against Hill College. Photo by Jesus Ayala/The Et Cetera. Freshman goalkeeper Gabriela Roa has excelled for the Harvesters this season, starting every game and making 39 saves with a .848 save percentage. Her recent performances have resulted in two back-to-back Division III Goalie of the Week awards by the National Junior College Athletic Association. Eastfield Coach Dustin Stein said Roa’s leadership has massively influenced the season outcome so far. Roa distributes the ball upfield. Photo by Homer Lozano/The Et Cetera. The team is ranked No. 6 in the nation, winning eight of their 10 matches and seven in a row. Overall, the team has surrendered seven goals all season, and leads the nation with six shutouts. Offensively, the Harvesters rank second in the nation in goals scored with 41. Left forward Arianna Dunsworth leads the team with 10 goals in seven starts, while also providing five assists. She was named the Division III Player of the Week for Sept. 4-10, the same week Roa picked up her second consecutive Goalie of the Week award. Stein says Dunsworth is proving her value as the team’s main goal-scoring threat, but she has more potential. 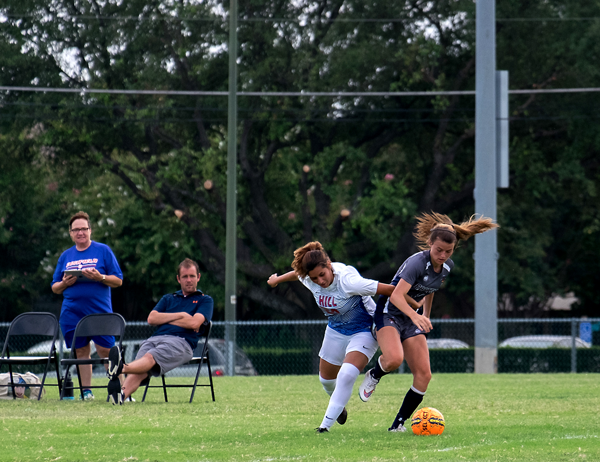 Ariana Dunsworth fights for the ball against Hill College. Photo by Jesus Ayala/The Et Cetera. “She’s shown up for big games against Hill, Oklahoma Christian, Cowley, and some others,” Stein said. 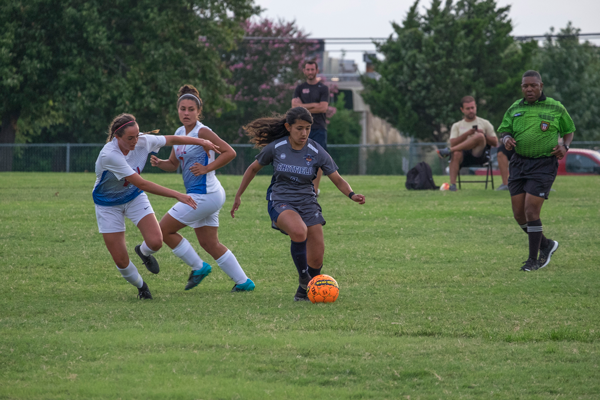 “We played Southwest Adventist and she played 67 minutes and she has one goal. “That was a game that she should score 10 goals if she wanted to. She just wasn’t there mentally. —Rodrigo Mendoza contributed to this report.